This looks like a professional restaurant meal…so beautifully plated, and inviting. You are very fortunate to have such a wonderful auntie to cook for you! 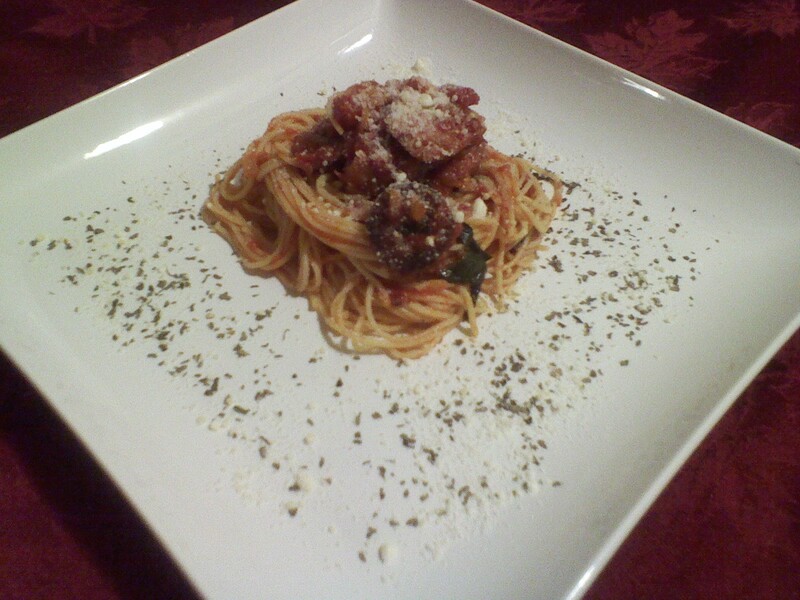 I love capellini and often have it with just tomato sauce and oregano.. simple.. this looks like a great dish!